Your mission is to make a positive impact in the world. You have or want a coaching business. More than a coach, you’re also an entrepreneur! You love to talk about your dreams for your business but making it grow and financially stable is a different story. Clarity on the next steps so you can get on with the big picture? To break through your fear of uncertainty and make progress? A strategy to find your niche, attract clients and make more money doing what you love with your coaching business? Then you’ve come to the right place, because this is exactly what I want to teach you! My name is Carl Brooks, entrepreneur and business mentor for coaches. I believe that clarity comes from action. It’s my mission is to help you take action to creating the life and business you love so that opportunities and customers come to you. I love helping entrepreneurs start and grow their businesses. My genius is helping savvy, soulful coaches find the right audience. I’ve always been fascinated by what drives people to follow their dreams and what holds them back. I’ve made it a life long practice to regularly step out of my comfort zone and stretch myself in the face of uncertainty, while helping others to the same. As a teenager, I found that friends and relatives would consult me when they were stuck in their lives. I’d find ways to help them see things from a positive perspective and take steps in a new direction. This all happened quite naturally. The feedback I got explained why: open, trustworthy, sincere, warm, centered, warm energy. I started to take notice. After our conversations, people felt better about themselves and were able to look at life with a fresh perspective. 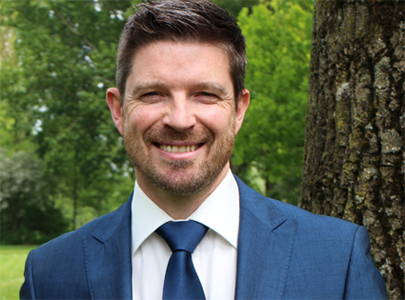 After my education in business studies in England, I worked for 20 years for British Telecom and then Air France/KLM as an E-business Developer in The Netherlands where I now live. I started to give website training workshops and coaching colleagues. I researched the best way to create great websites that inspire and add value to website visitors. I find it so disheartening when a website doesn’t deliver the feeling or message to customers that the owner intends. As in life, a good business has to touch your heart with sincere communication and at the same time trigger the feeling “Yes, I want this. I’m gonna do it!” Not till then can you really have impact and succeed with giving customers an excellent experience. But how do you do all this? I know how it feels to want to make a difference in the world, but not quite know how to get it your ideas off the ground. It took a while before I found the Holy Grail No, this was no Eureka moment, but a process of not giving up. In the meantime, I know what works in life and business. And that’s what I want to teach you. I don’t just believe in the strength of a good coaching business, but also the strength of entrepreneurs. In you! Entrepreneurs like you and me work from their heart and want to bring something beautiful in the world; to help people and to make a positive difference doing something they believe in. We’re going to play a big role in making that happen. Mark my words. That’s why I want to help you take the right steps to creating a successful and sustainable coaching business that reflects your strengths and moves you forward. Many different entrepreneurs are needed to bring their unique talents and light into the world and make a positive impact. You too have something special to offer! That’s why you must show the world what makes you different, so that you attract the right people. The best way to be different is simply to be yourself. There has never been nor will there ever be anyone who is exactly like you. You are your most unique and valuable asset. I teach you how you can make an impact with your life and coaching business. But I am not a web designer, programmer or member of the project police. If you’re looking for someone to take over the wheel then we’re not a match. Advice on implementation a killer business that clients say “Yes” to. Clarity on your priorities and the next steps. Confidence to push through your fear of uncertainty. Insight into the qualities of successful people and high performers. Simple business strategies to move forward with confidence. Best productivity practices to follow through. A mentor and sounding board for everything life throws at you. …then I’d like to get to know you. My strength is helping you to move forward in your personal and professional life. For many entrepreneurs, especially coaches, knowing the first and next steps to envision and implement a business is simply difficult, while this is the basis of a successful coaching practice. 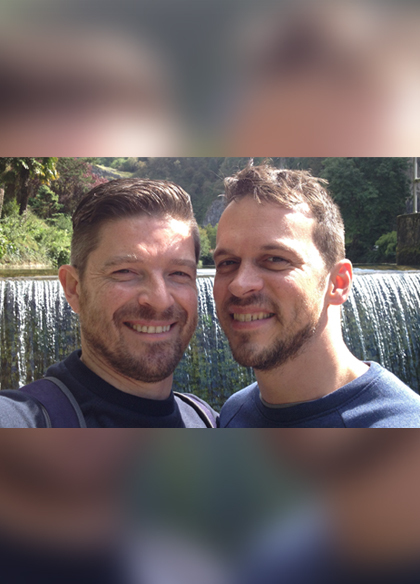 I am a husband, married in 2014 to the love of my life Johan. For me, a day without coaching someone is a day wasted. I also love to scuba dive, run and write useful articles for my blog. In 2014 we decided to pursue our dreams. 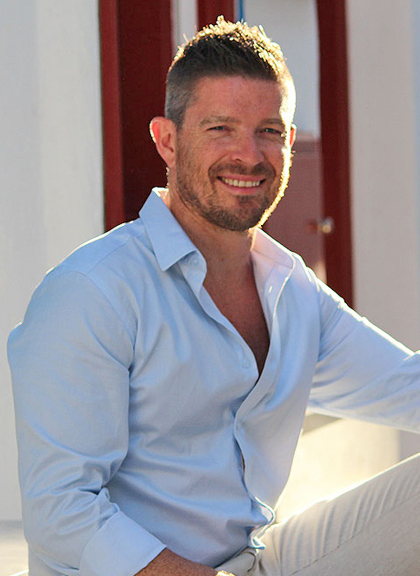 I left my corporate job and became an entrepreneur to pursue life & business coaching. Johan also decided pursue a coaching practice in his free time, while staying in his job. An amazing adventure that we are still experiencing. It’s been a wild ride, and I’ve been very blessed to be able to share my work with so many amazing entrepreneurs. 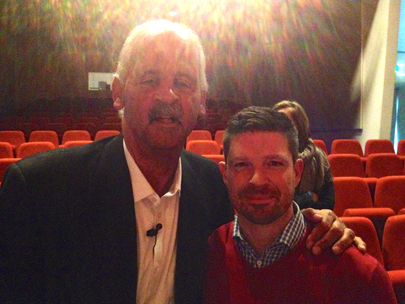 I recently met Stedman Graham (Oprah Winfrey’s man) during an inspiring talk he gave in Amsterdam on business identity. I experienced one of the most amazing moments of my life tracking through the jungle of Malaysia. In 2013 the left side of my body was temporarily paralyzed. Doctors found an abscess in my brain, which a neurosurgeon successfully removed. Lucky for me, I fully recovered and vowed to use my second chance at life to help others succeed in life & business. Visit me on Facebook or Instagram, where I share my experiences on life, business, nature and pursuing your dreams.